Then she remembered that today was a day to go and vote so went to the church up the street and I watched Ohiophotogrl cast her vote in the primary election for mayor of Dayton. They gave us a really cool sticker. Ohiophotogrl always votes. She says its a right that people long before her had to fight to be able to do. So voting we did! This entry was tagged 365, blogging, kid friendly, laughing, Mr. 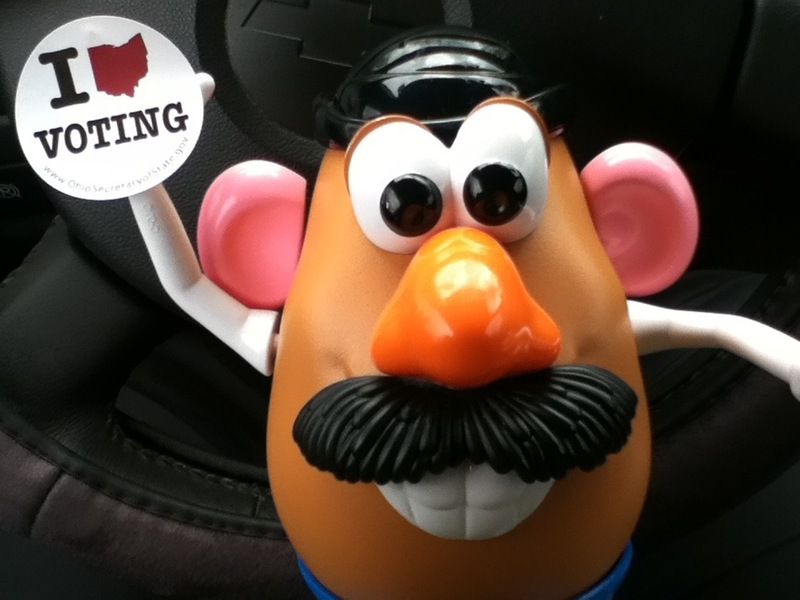 Potato Head, muse, picture a day, voting. Bookmark the permalink. I’m with ohiophotogirl. Voting is our right to choose who we want to look after our best interests. We should not take it for granted. Go ohiophotogirl!.